DENVER, April 19, 2018 — Inocucor Corporation, a developer and producer of biological crop inputs for high-value produce and row crops, announced the final close of its Series B funding round at $15.9 million with participation by existing investors Cycle Capital Management (Montreal), Desjardins Innovatech (Montreal), TPG ART (San Francisco), and Pontifax AgTech (Los Angeles). Concurrently, Ben Belldegrun, managing partner and co-founder of Pontifax AgTech, which led Inocucor’s Series B second close funding of $9.5 million, has joined its board of directors. The first close of Inocucor’s Series B equity financing of $29 million was led by TPG ART, with participation from existing investors. Earlier this week, Inocucor acquired ATP Nutrition, a producer of science-based plant nutrients based in Oak Bluff, Manitoba, Canada. 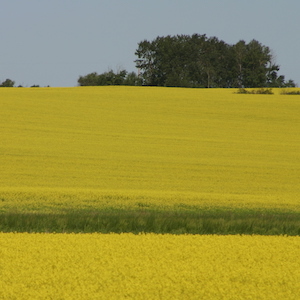 Inocucor’s President and CEO Donald R. Marvin said funds will be used to expand the company’s newly combined R&D teams’ work on development of a new class of crop inputs that combine Inocucor’s biologicals with ATP’s plant nutrients for canola, corn, soybean and other broadacre crops, as well as high-value produce markets. Products will be formulated based on plant type, geography and soil conditions. In May, Inocucor will occupy its new 30,000-square-foot U.S. headquarters and commercialization office currently under construction in Centennial, Colo. Its Montreal-based, R&D-focused Technical Center of Excellence was recently expanded from 10,000 to 20,000 square feet. The company employs about 65 people in Canada and the U.S., and anticipates adding another 25 to 30 high-level scientific and managerial professionals over the next year.